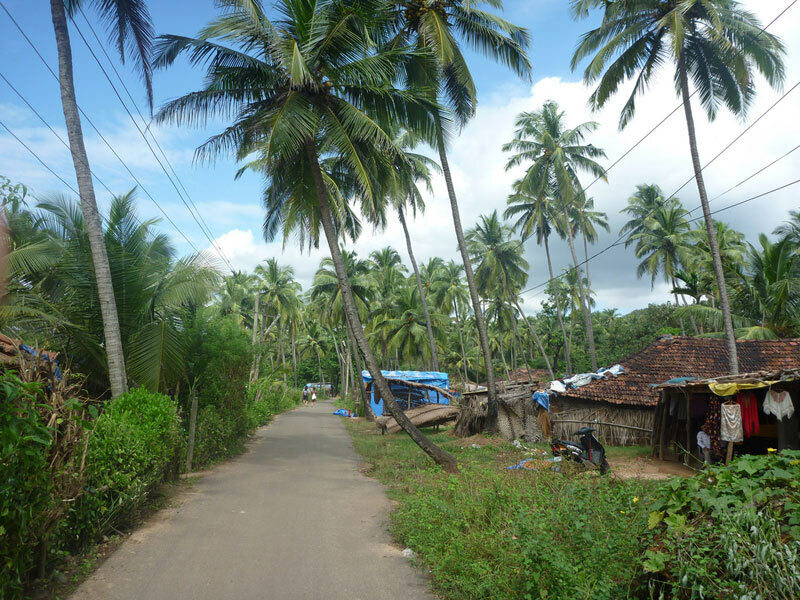 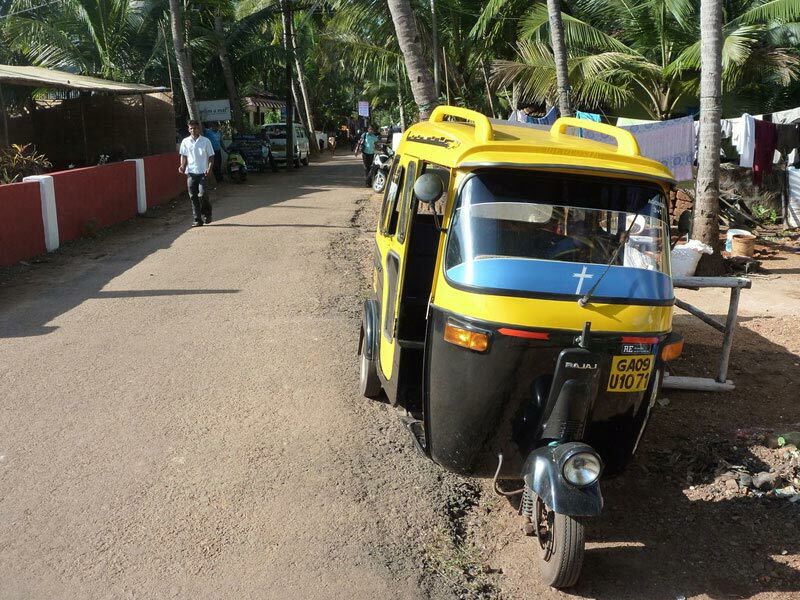 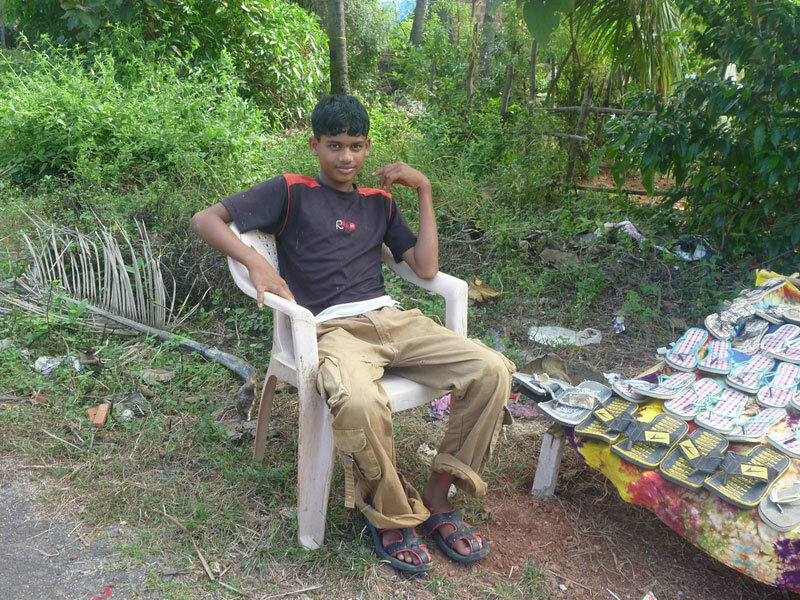 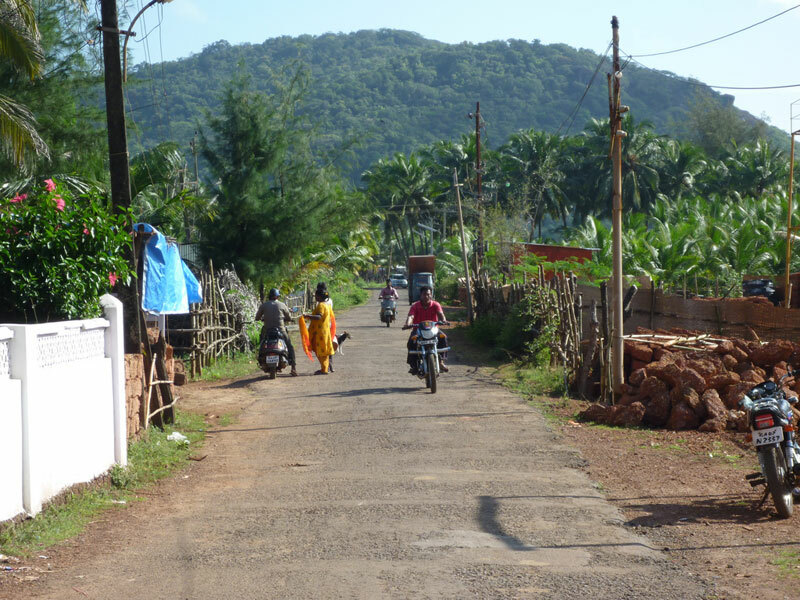 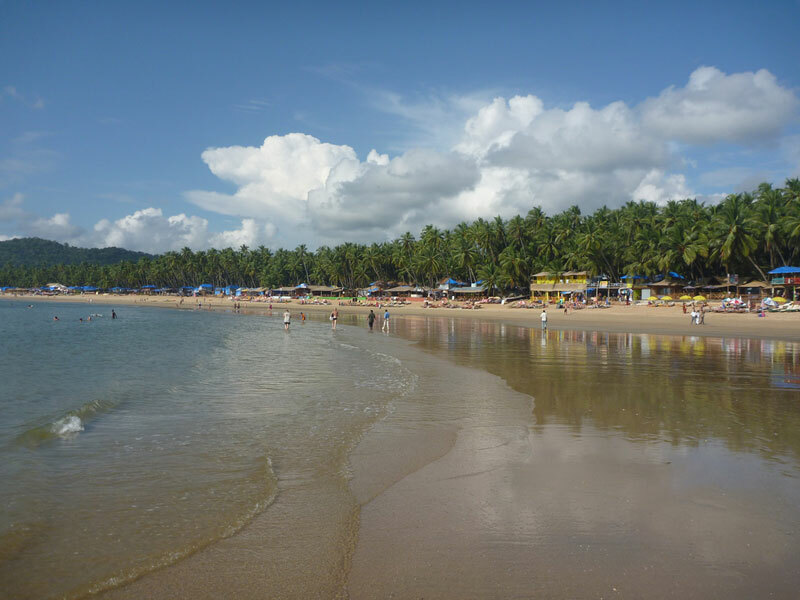 The last portion of my trip took me to the southern part of the state of Goa. 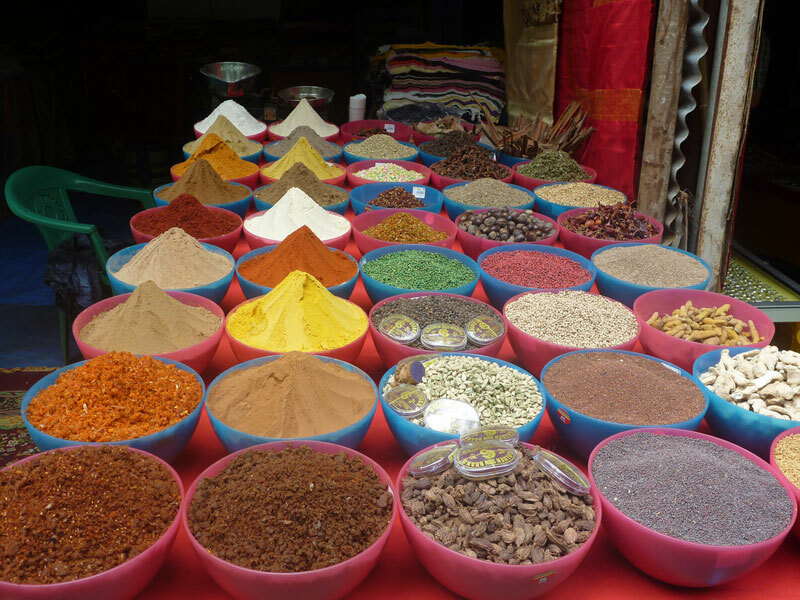 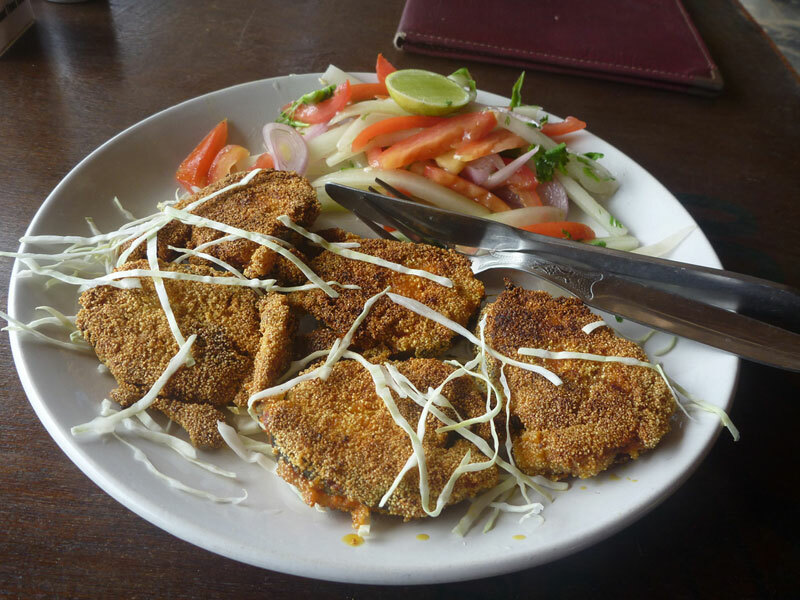 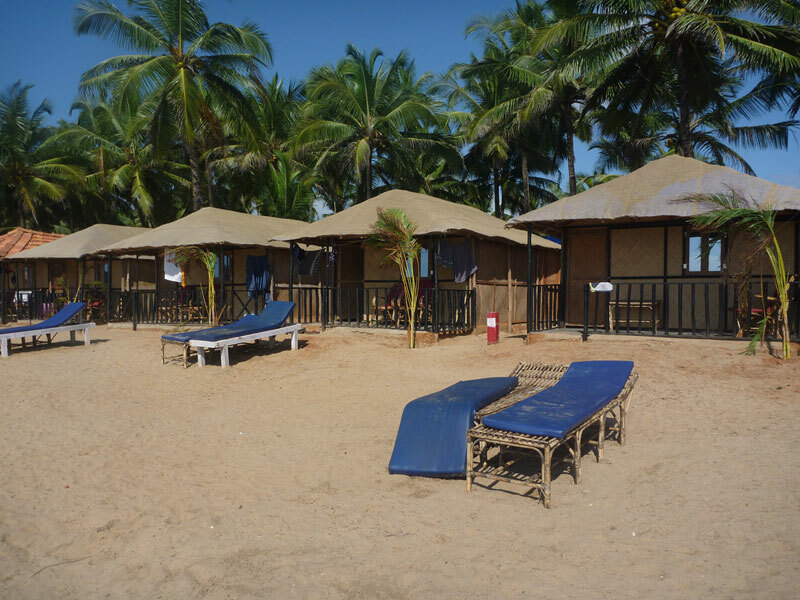 Having read a lot and then experienced first hand how grinding traveling in India can be at times the best antidote is to leave yourself some space for a short vacation within your vacation to unwind at the beach. 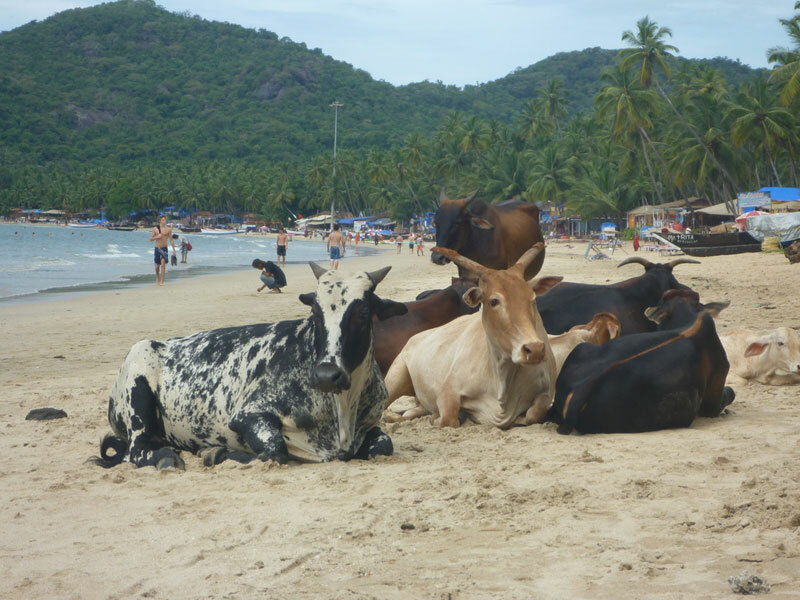 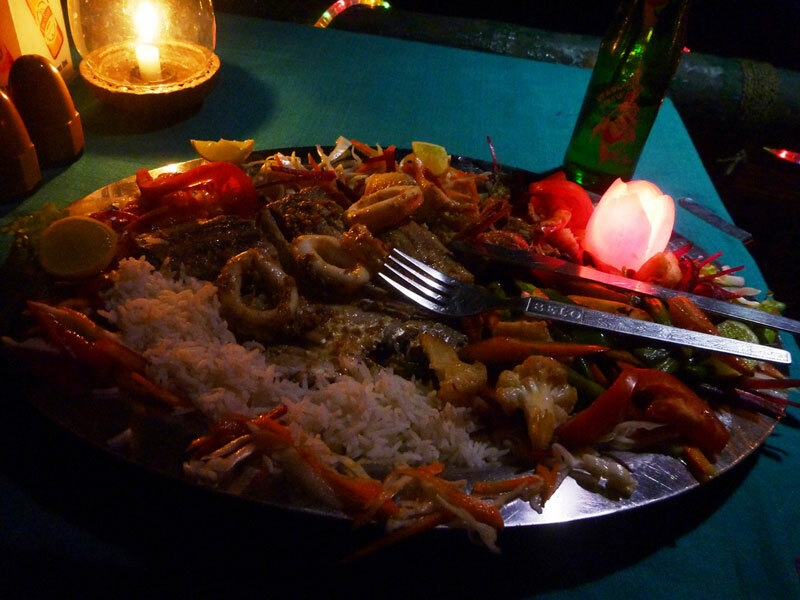 For me this took place around the sleepy town of Palolem that is known for having one of the most beautiful beaches of India. 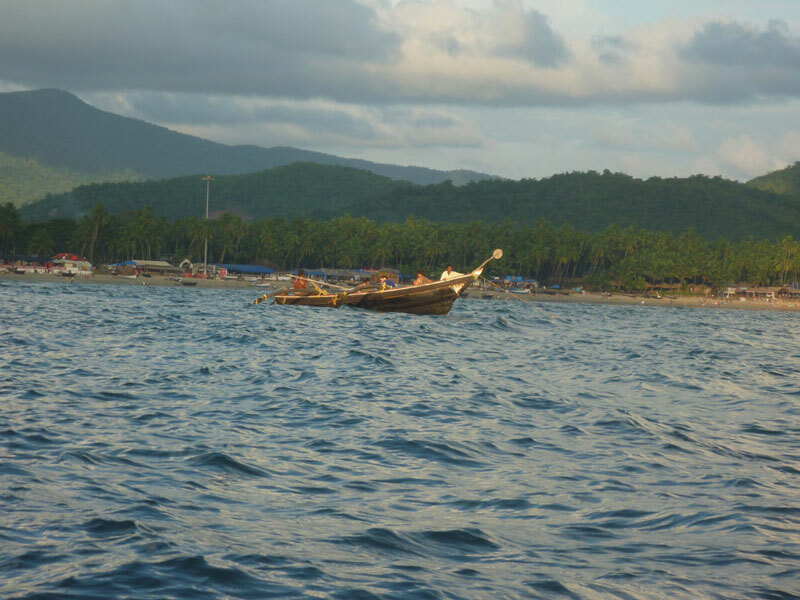 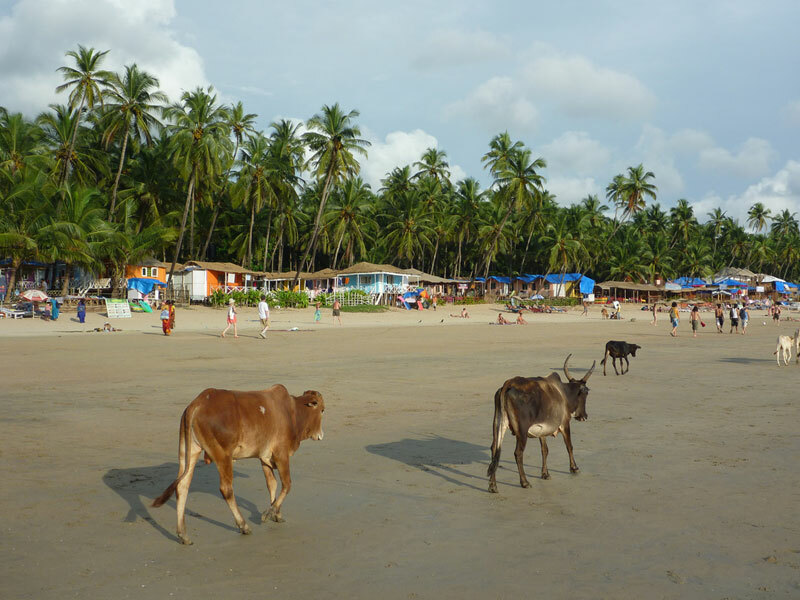 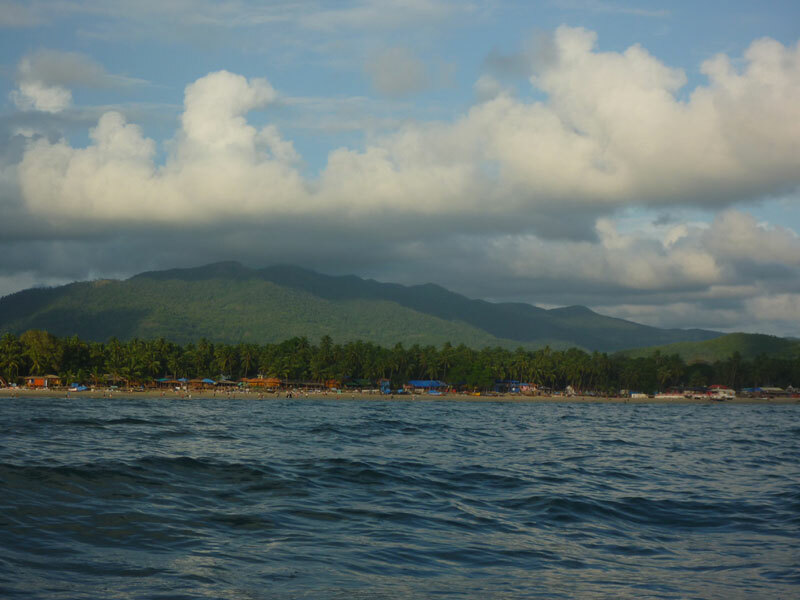 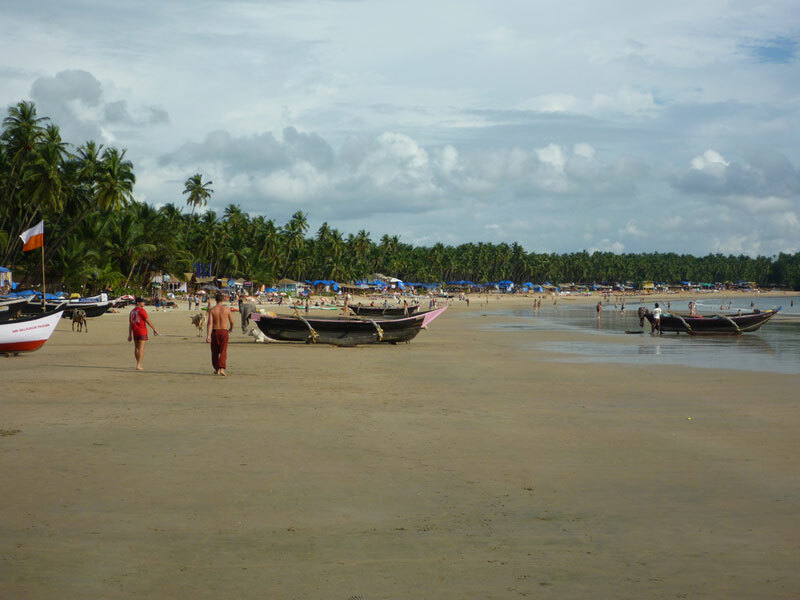 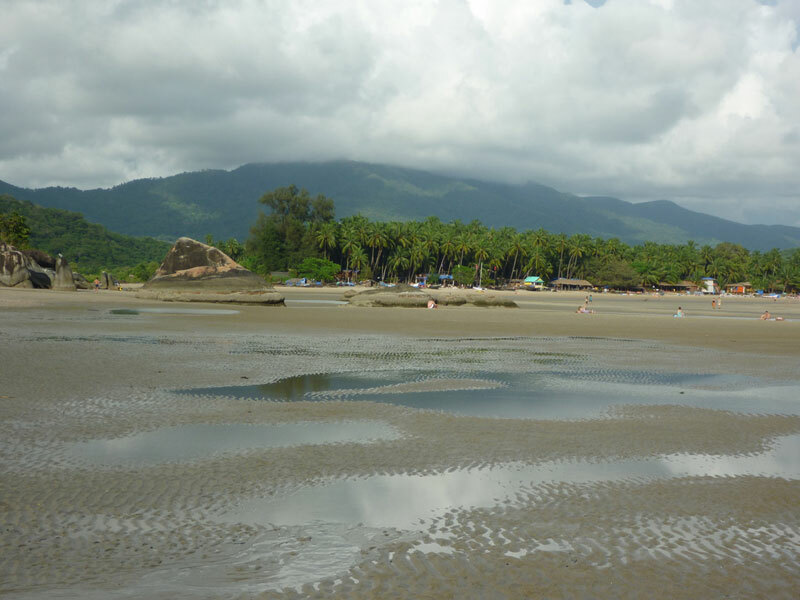 Surrounded by mountains on each sides, the kilometer long crescent shaped beach gives way into the calm and idyllic Arabian sea which you can walk up into about a hundred of meters or more depending on the tide. 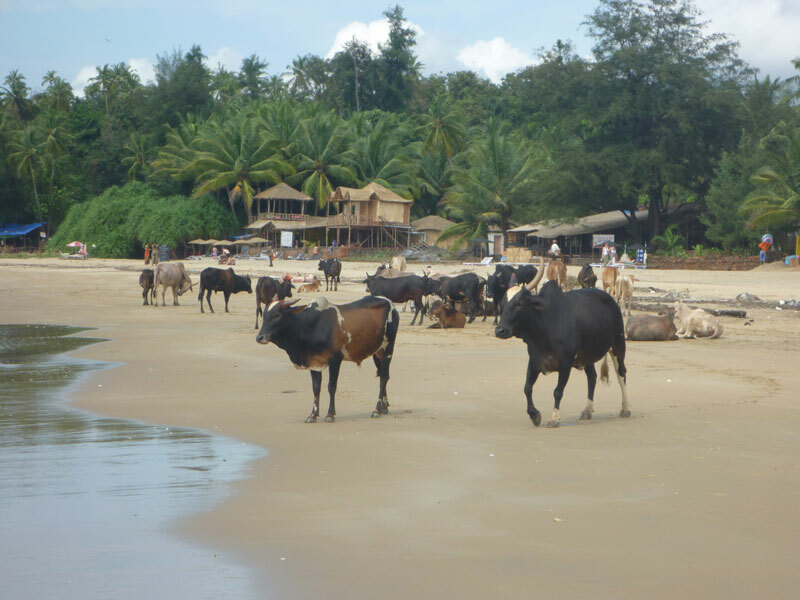 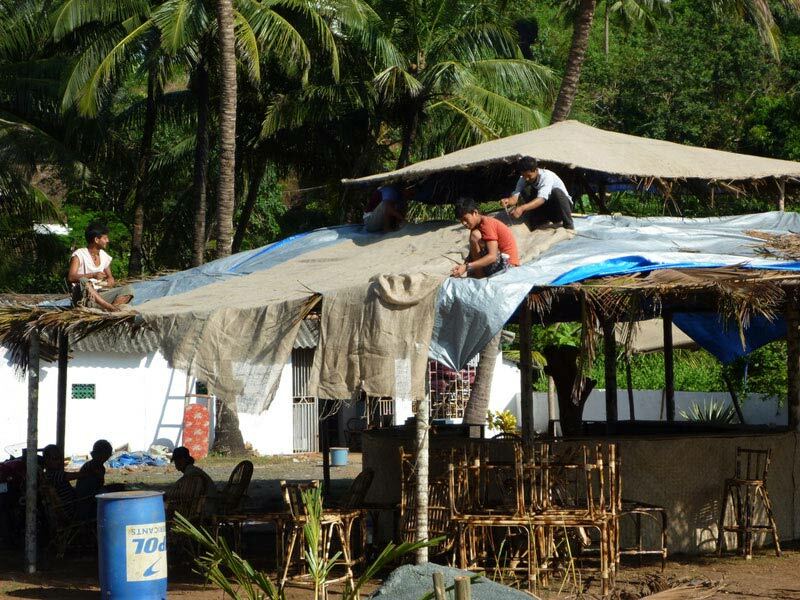 Due to a ban on permanent development the beach is filled six months a year with an unbroken line made up of hundreds of temporary shacks offering the usual bamboo and palm leaf huts accommodations, restaurants and bars. 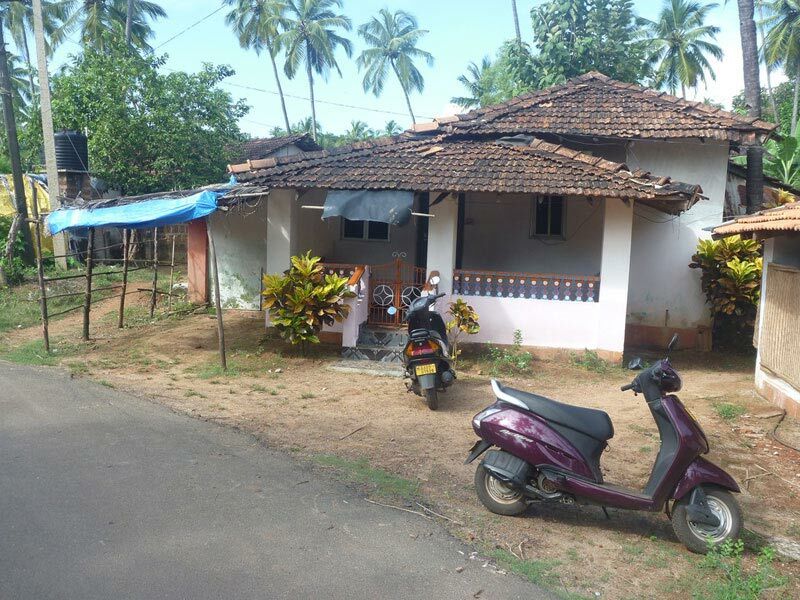 Those in need of a bit more luxury or visiting out of season can find concrete air-con style guest houses a few streets back in town all year long. 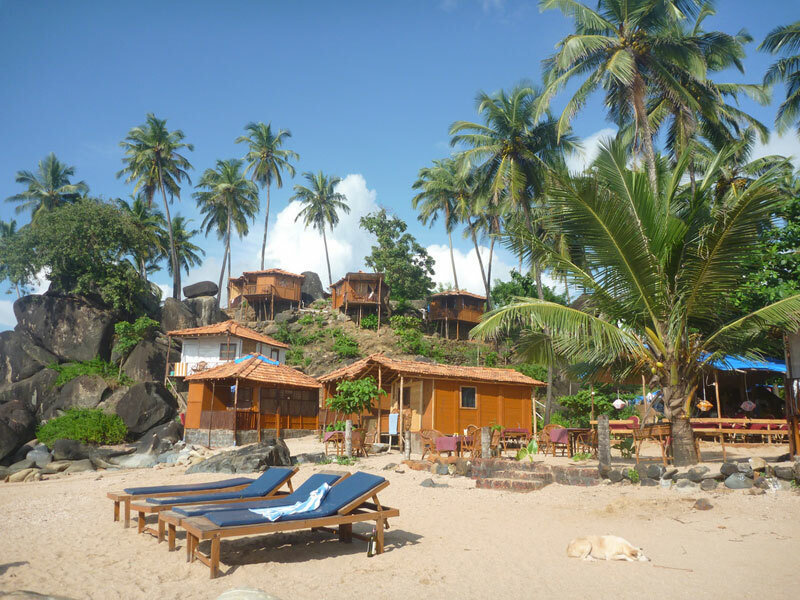 The mood is definitely laid back and those looking for a party atmosphere should skip Palolem and head up in North Goa as loud music is banned past 10 o’clock here. 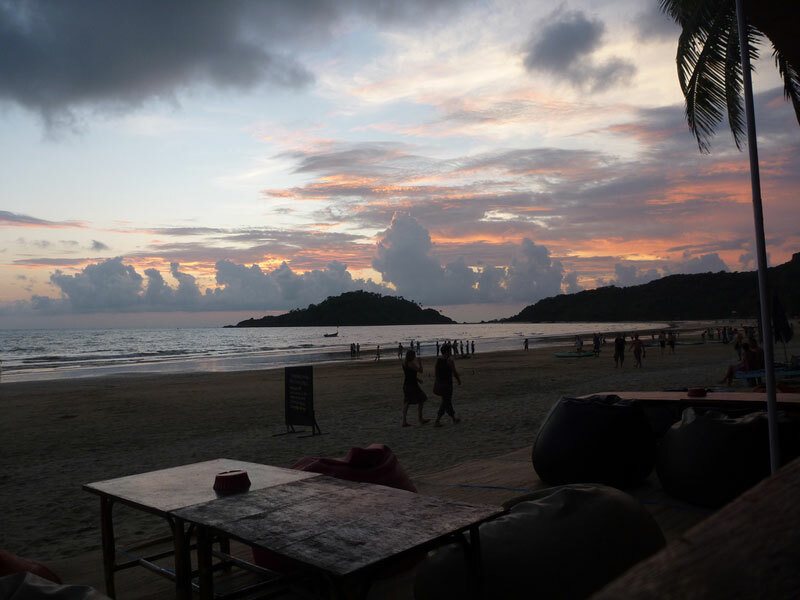 Though there is somewhat of an alternative as on certain nights they open up silent discos parties where wireless headphones allow people that want to party into the wee hours of the night to do so while no one else is bothered. 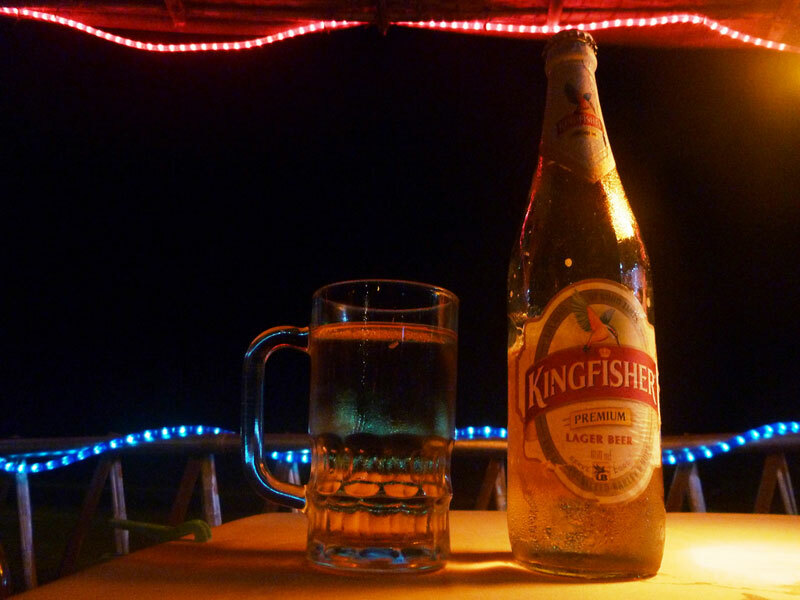 A good thing to mention is that the whole state of Goa has an unusually easy going attitude towards alcohol that you will find freely available everywhere and at cheap prices being that this is the only state in India to have tax-free beer. 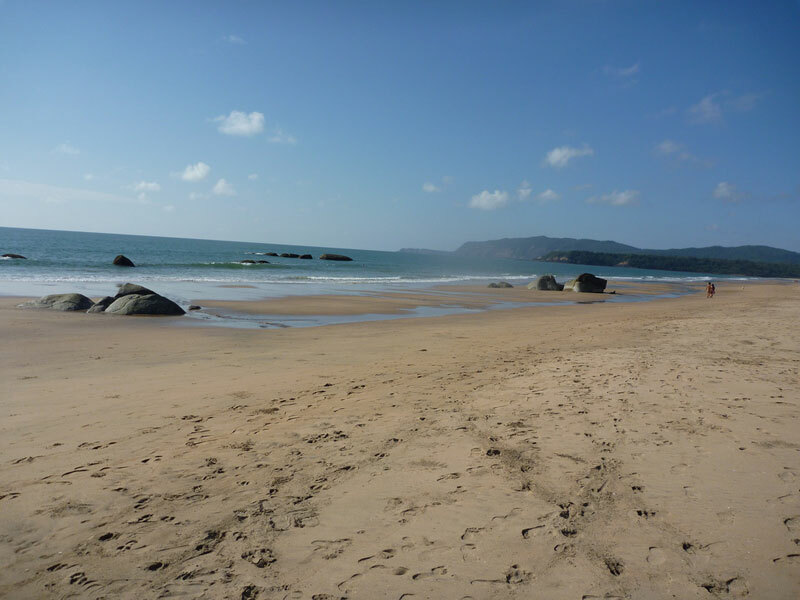 While the beach was not too crowded and still felt largely unspoiled when I visited in November I am sure some might find it to be a different story in the high season of December and January. 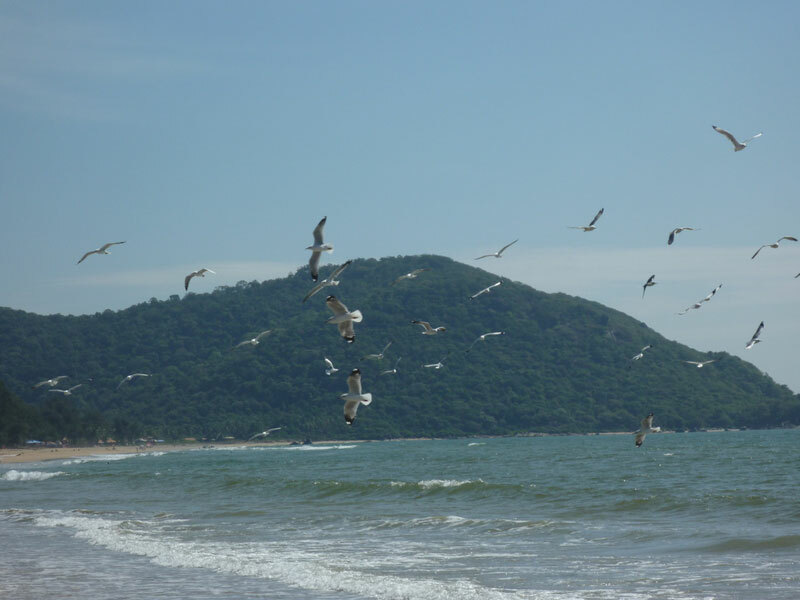 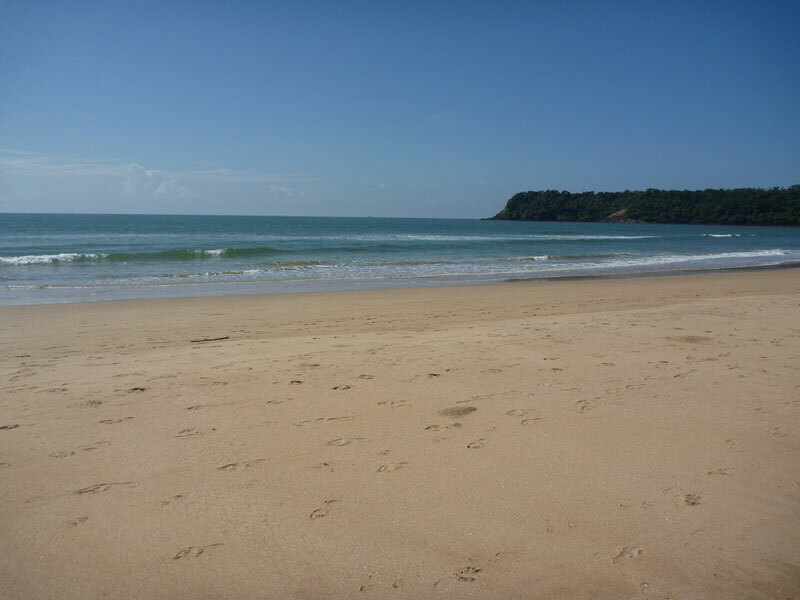 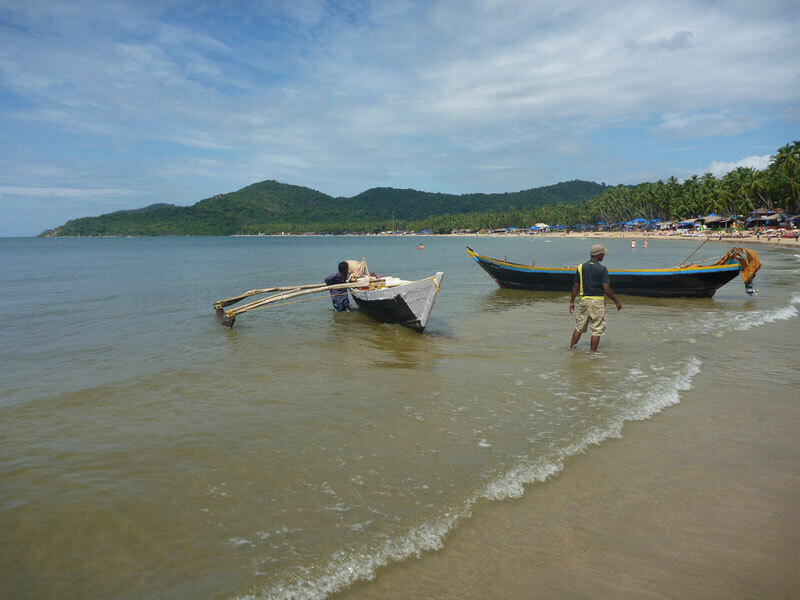 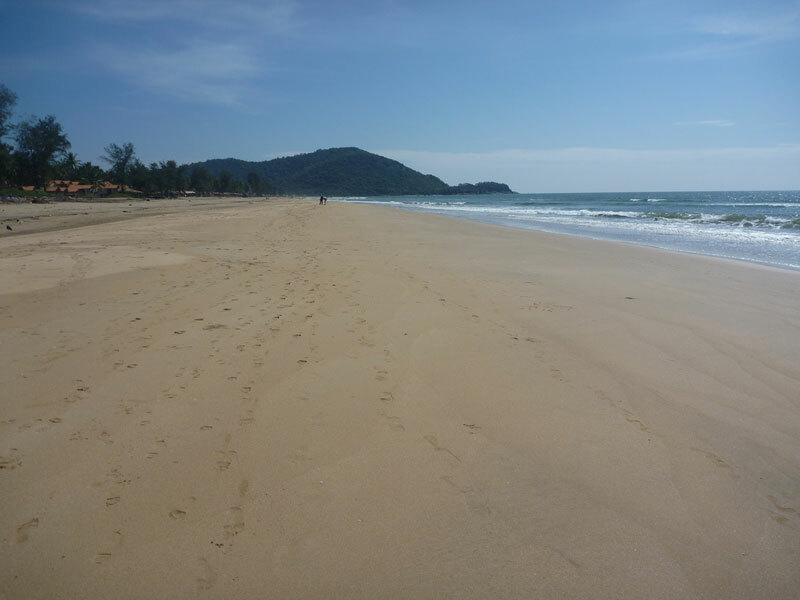 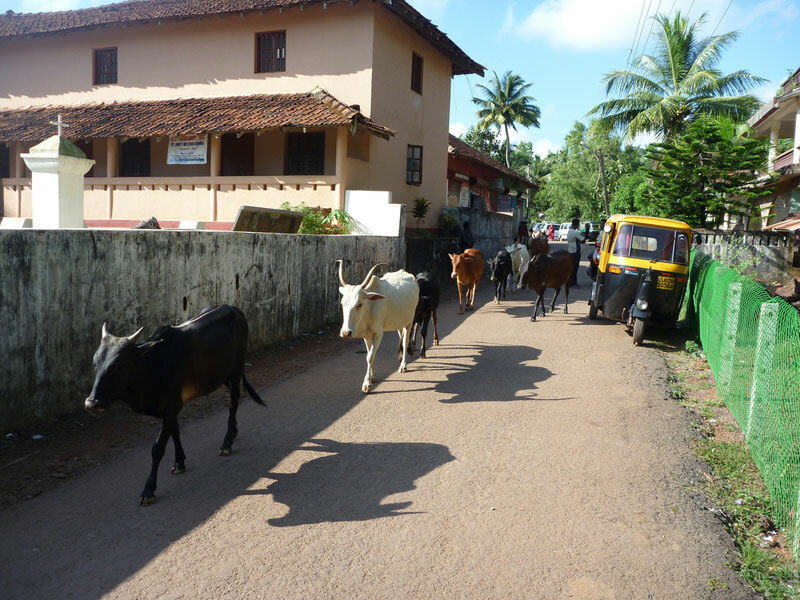 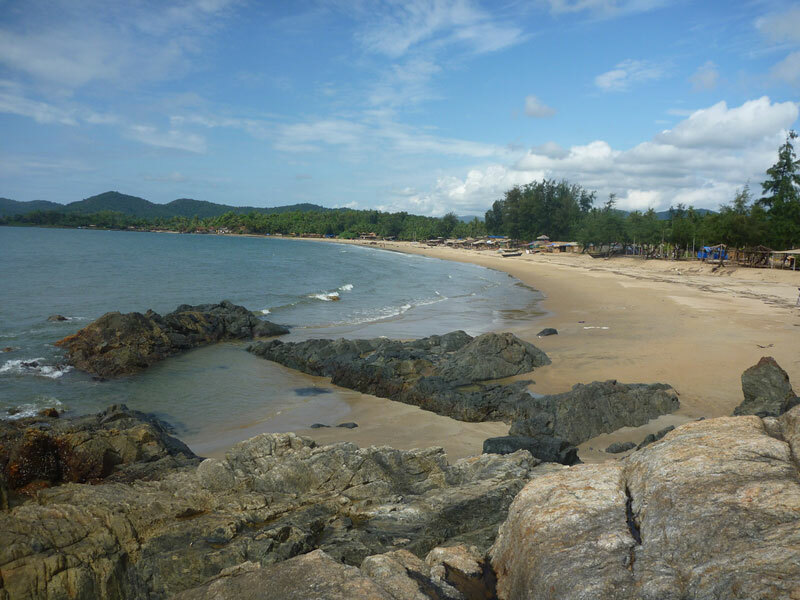 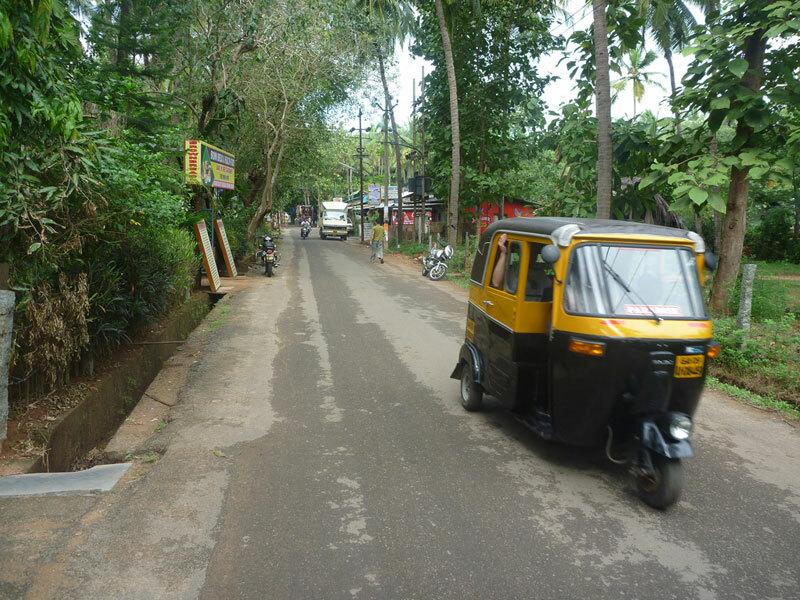 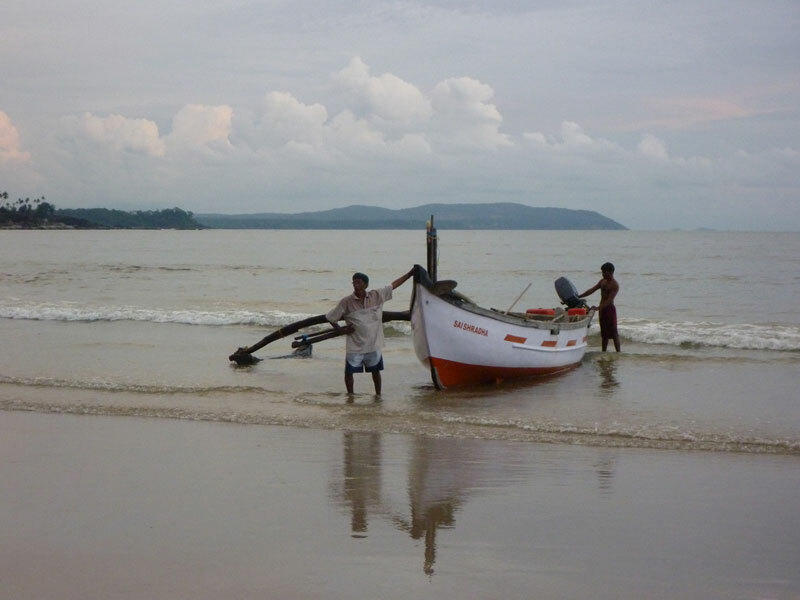 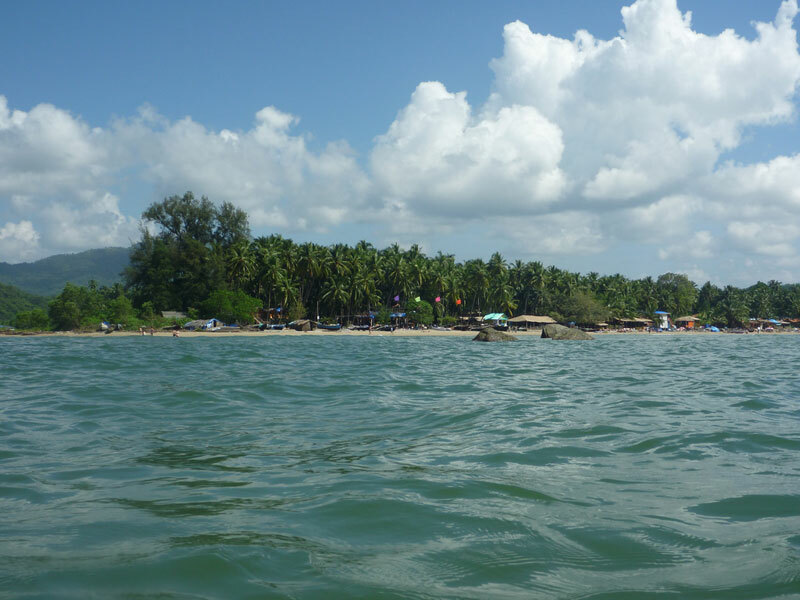 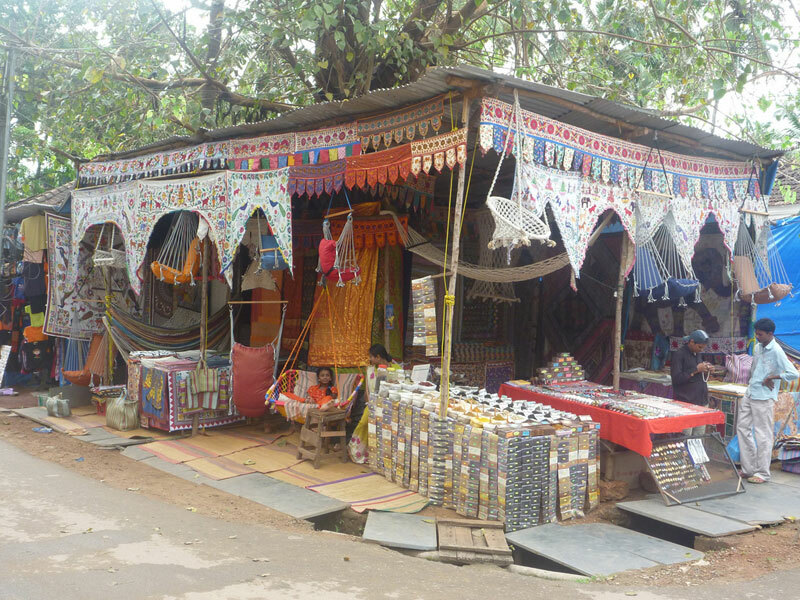 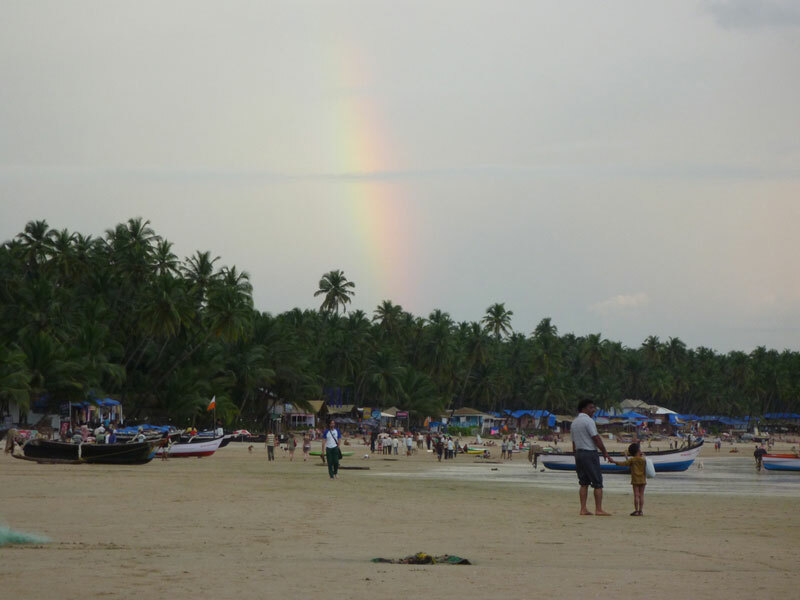 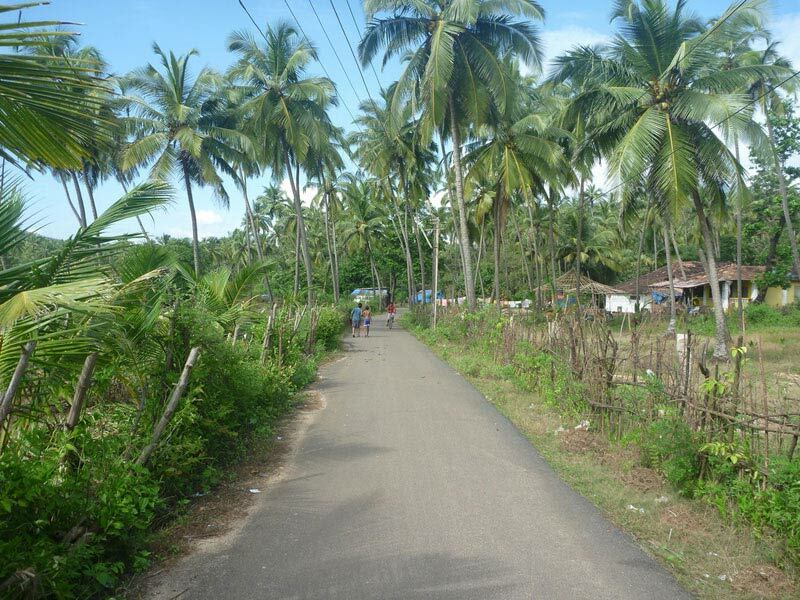 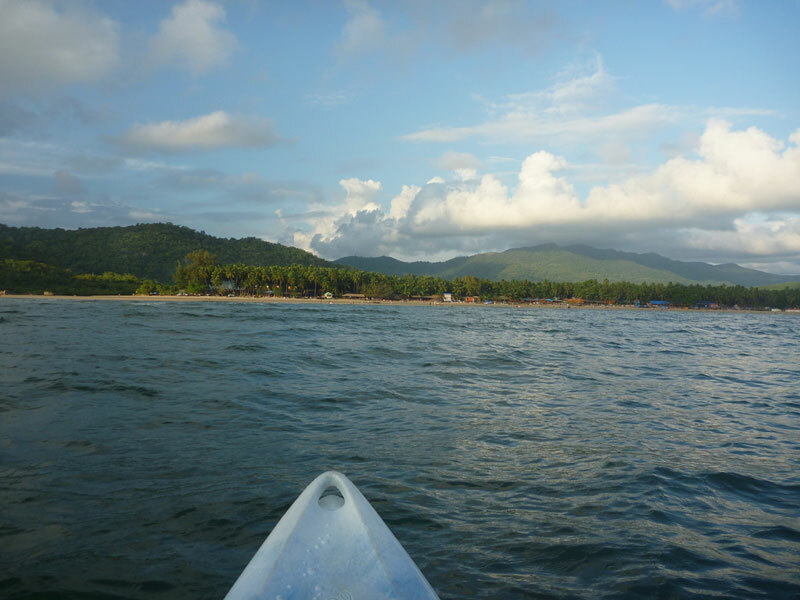 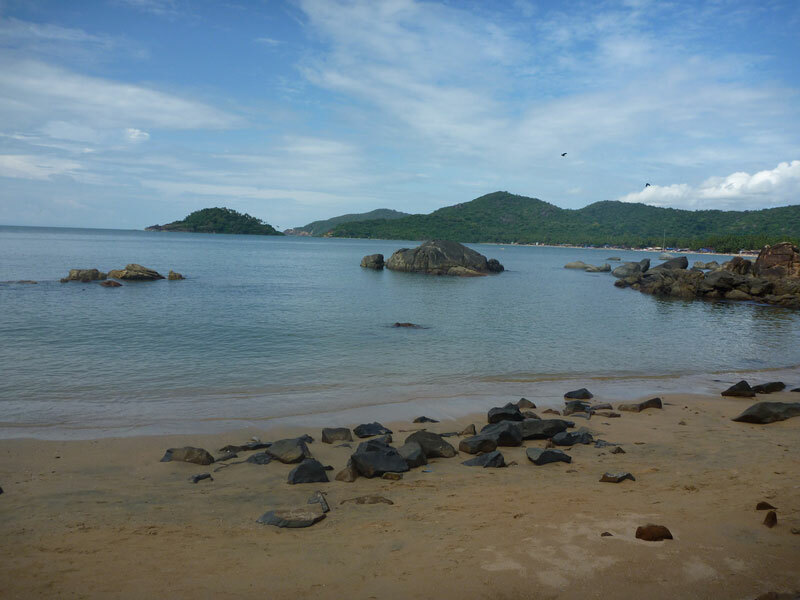 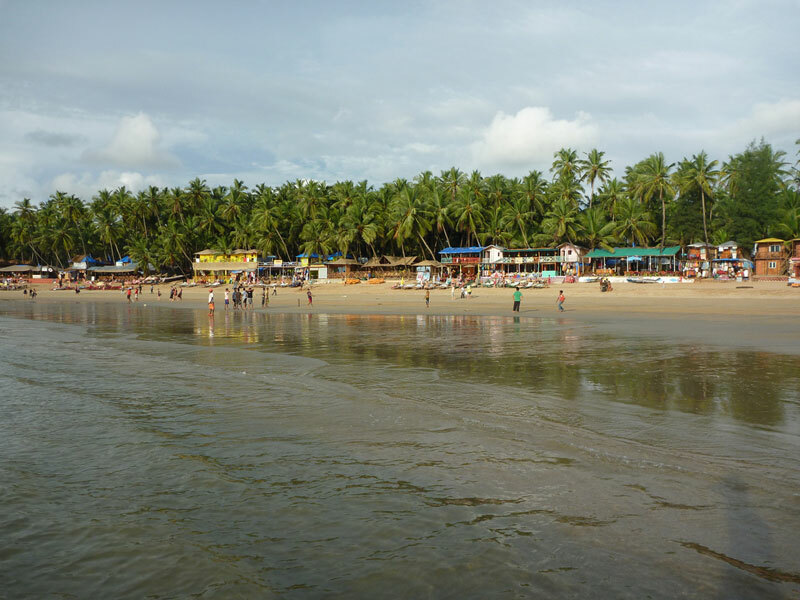 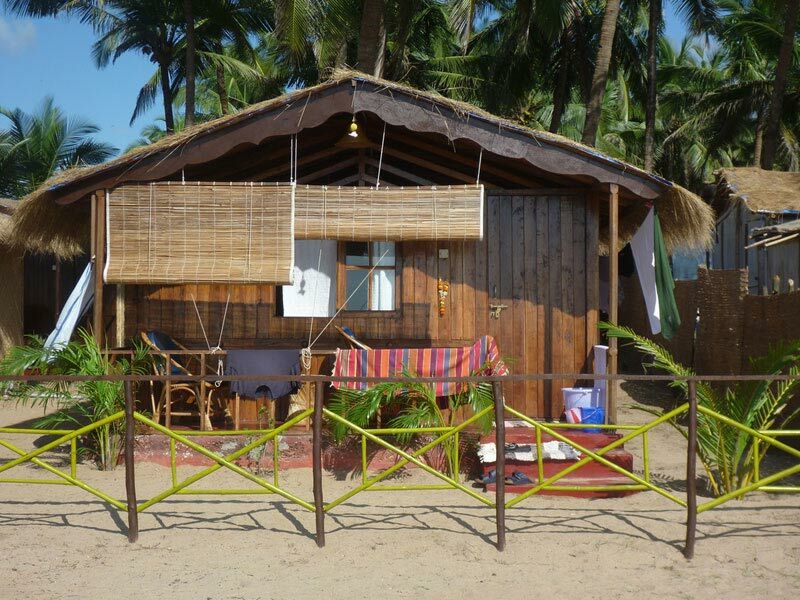 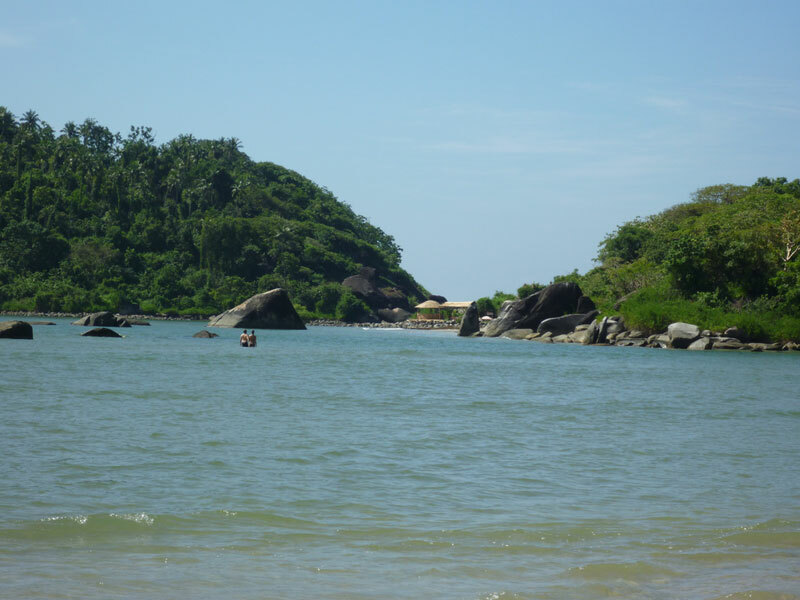 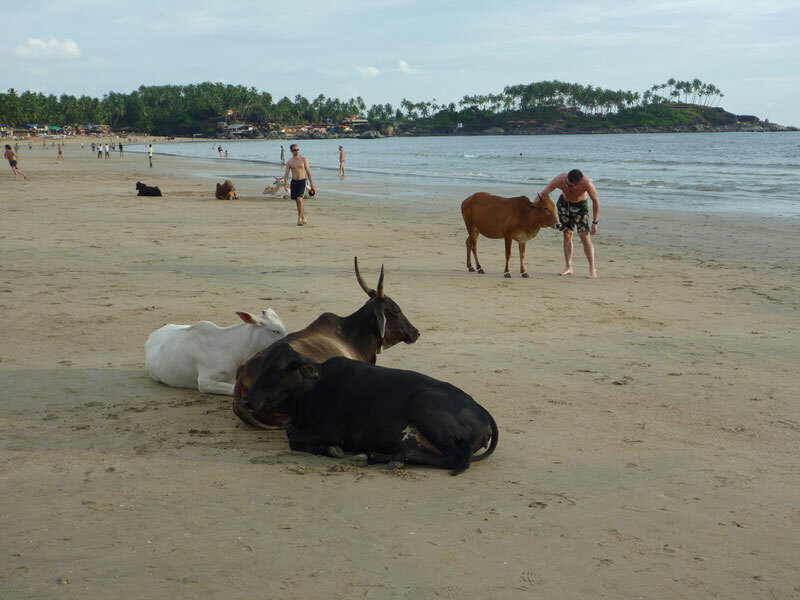 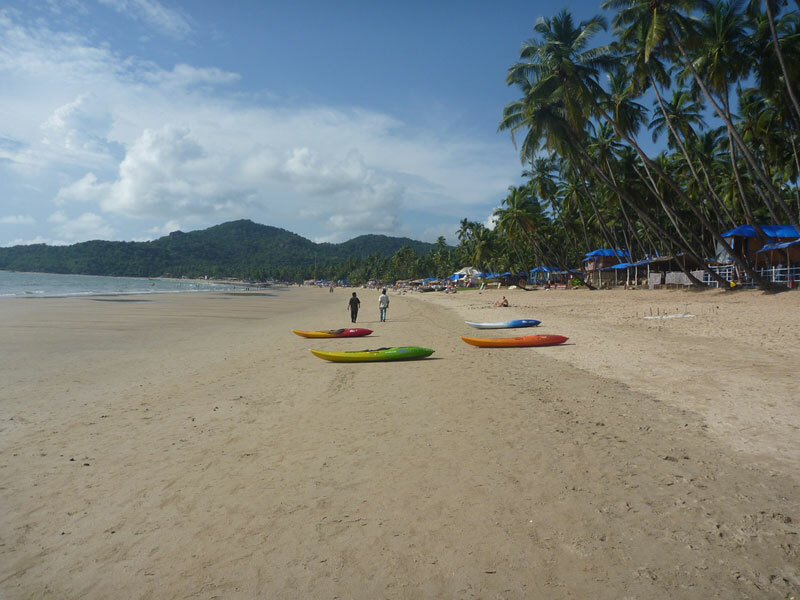 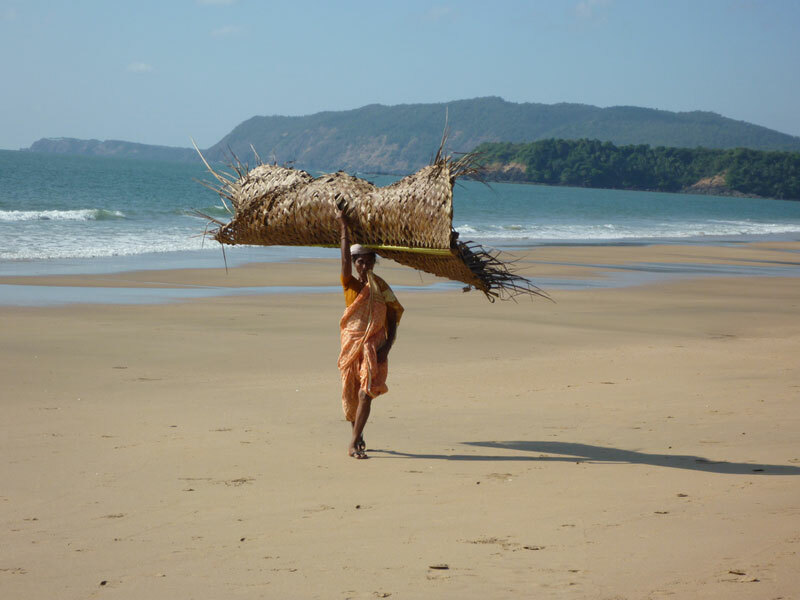 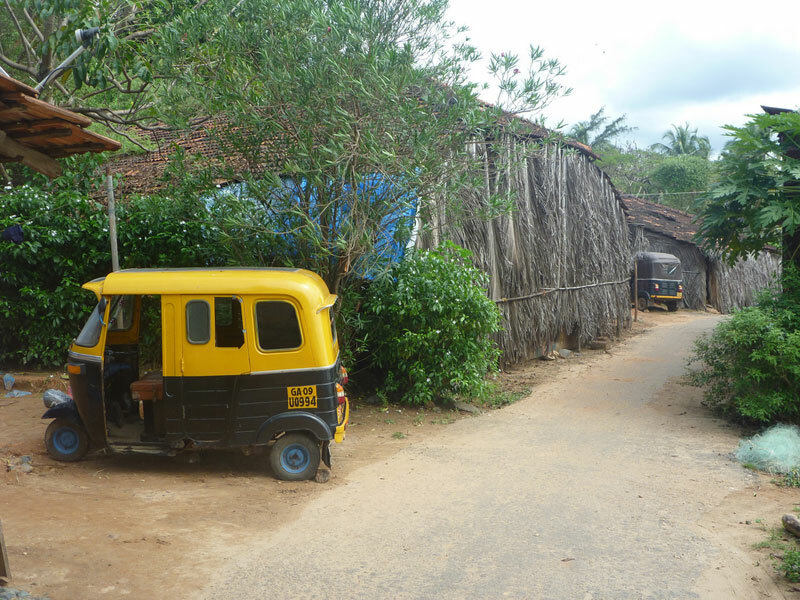 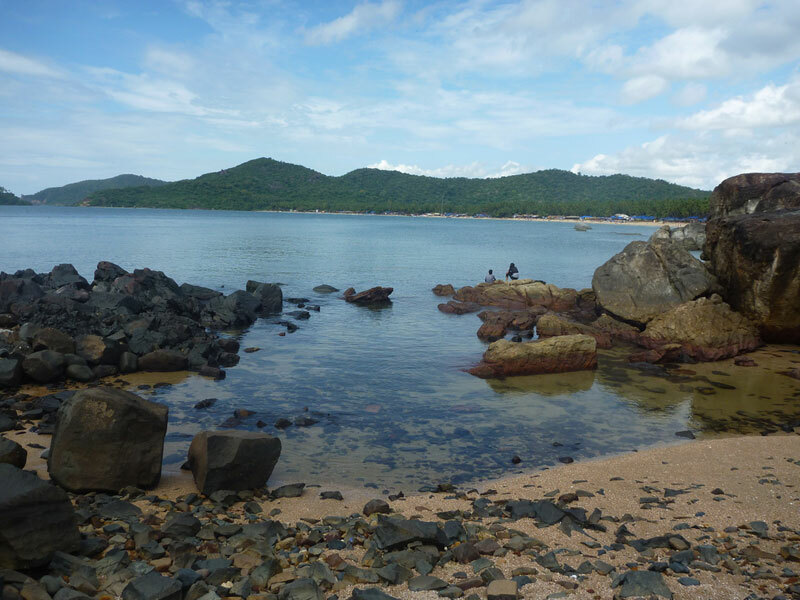 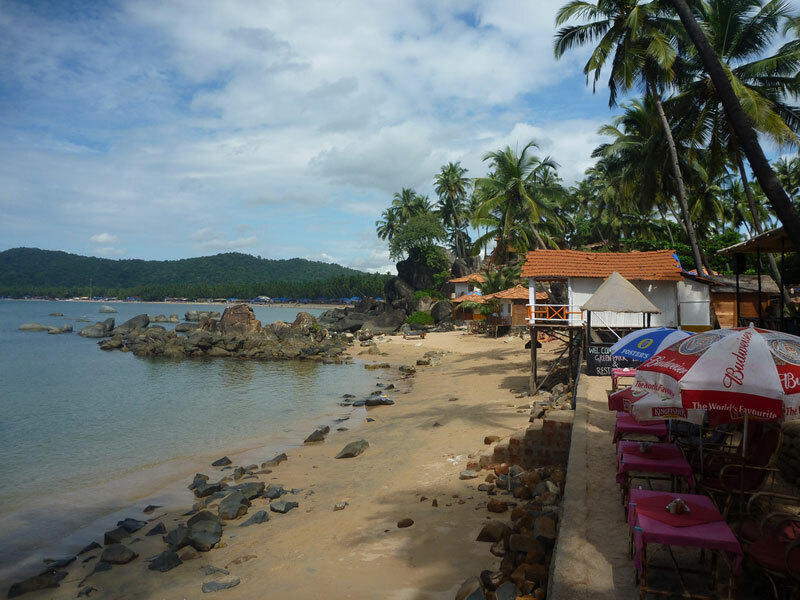 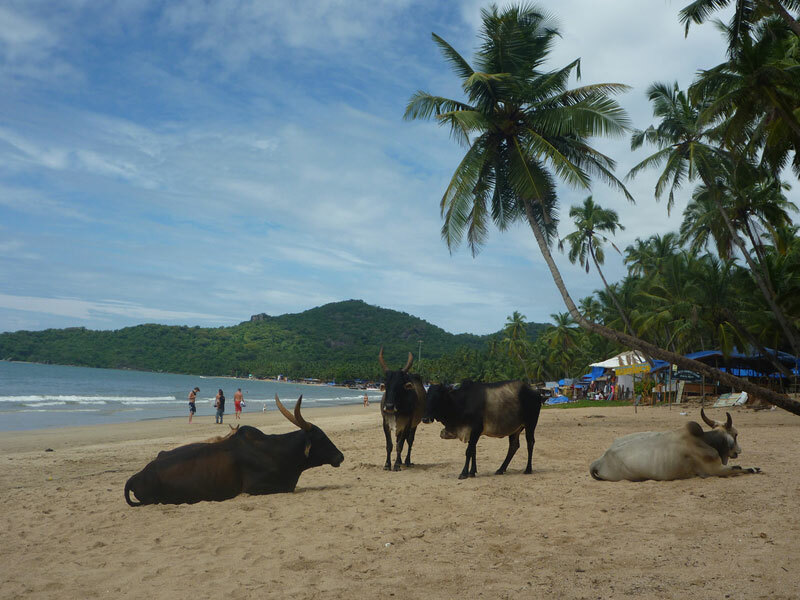 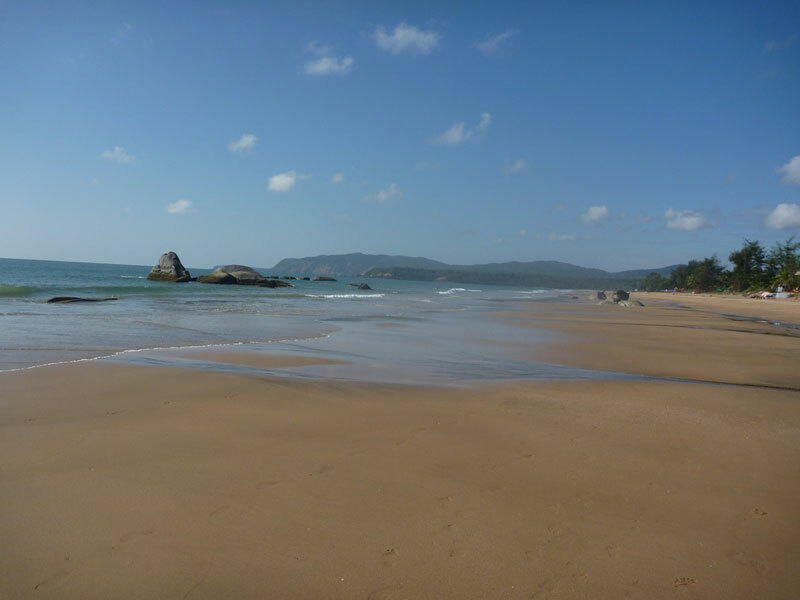 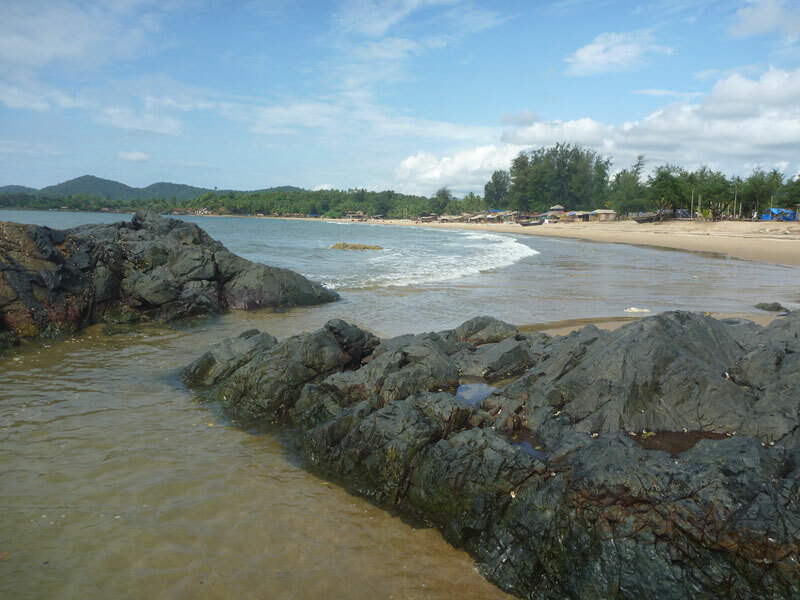 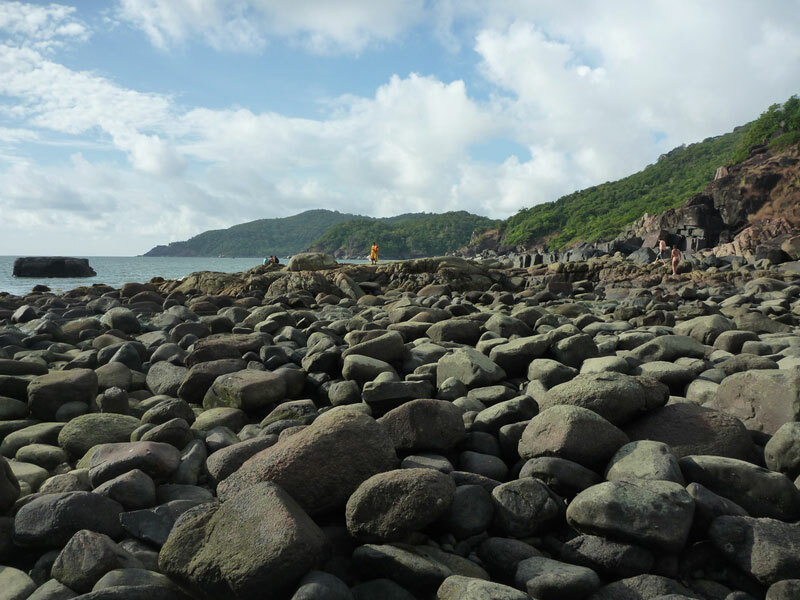 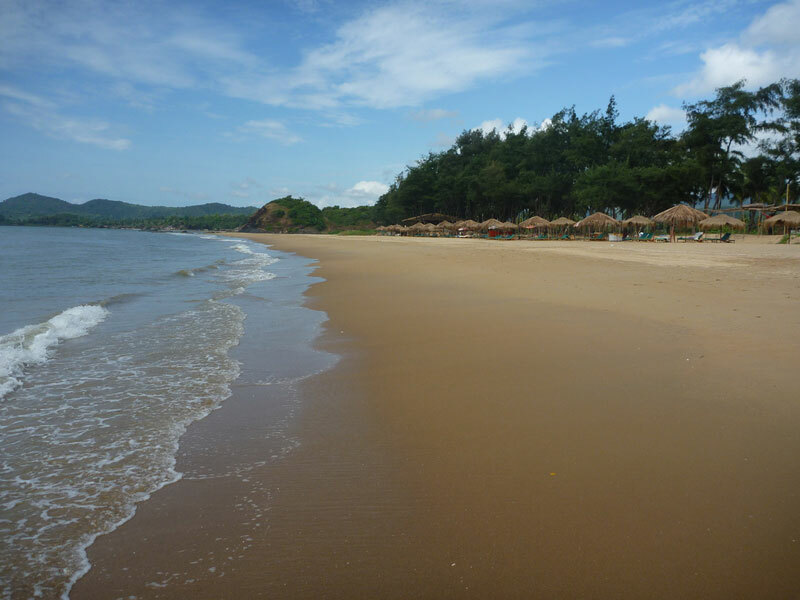 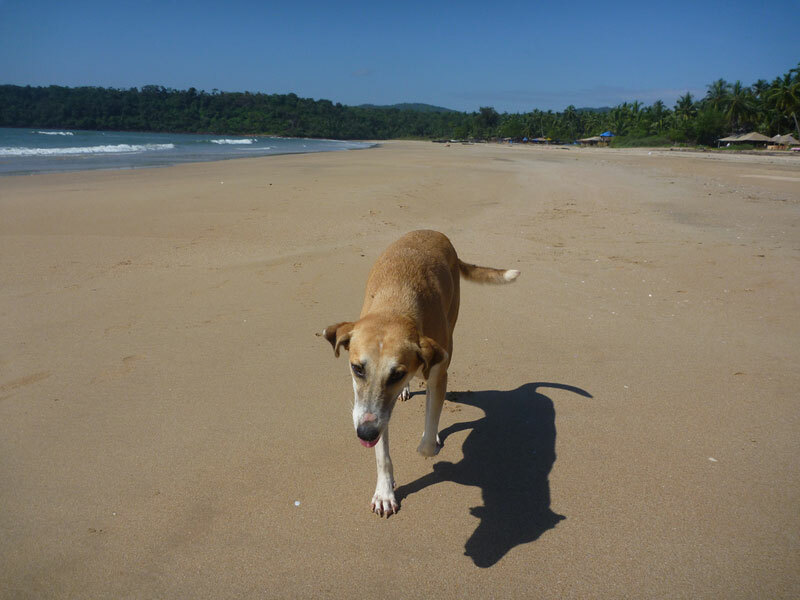 Those looking for a more quiet and secluded getaway can walk down south from Palolem and find accomodations in Colomb and Patnem Beach or take a 10km Auto rickshaw ride to peaceful Agonda with it’s three-kilometer-long beach. 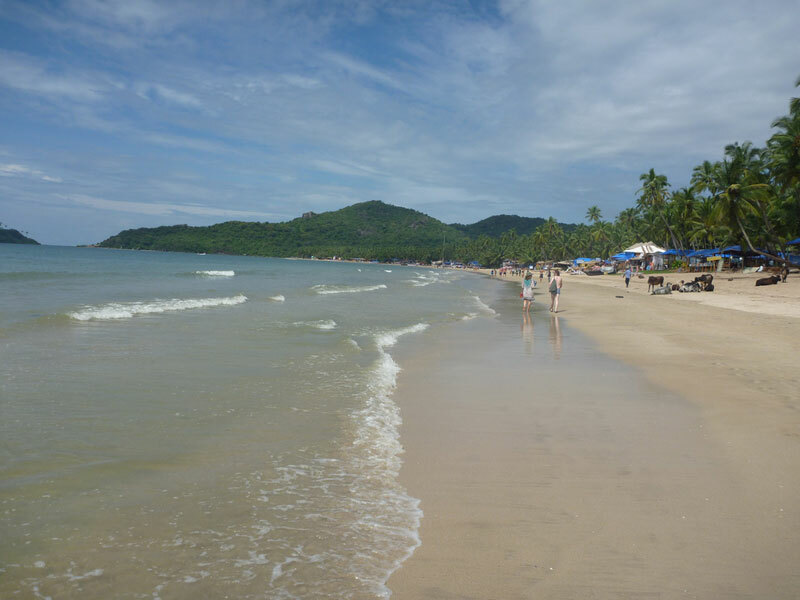 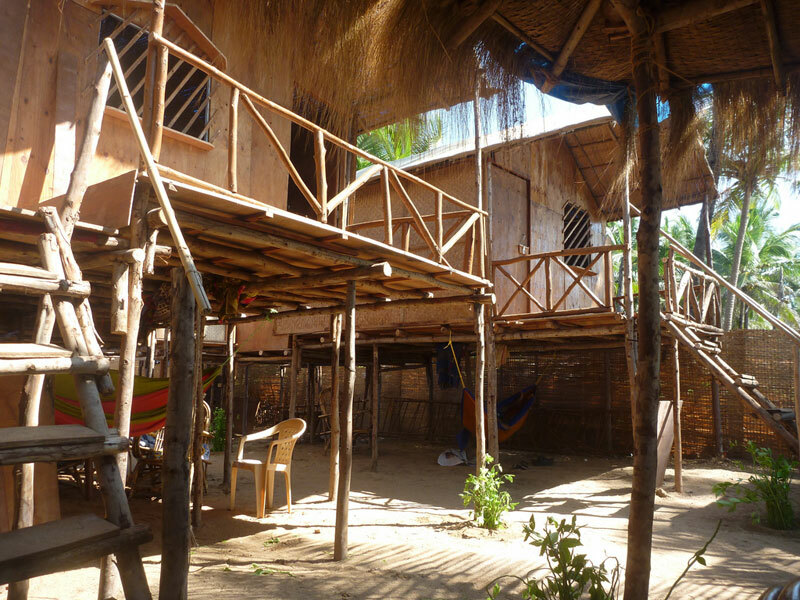 I am sure that like countless others with a bit of a loose itinerary you’ll find it’s very easy to stay here for far longer than you initially intended enjoying the lazy beach lifestyle.